There is still time to register for two online courses being offered to greenhouse growers by the University of Florida. Each of the courses takes place June 4-29, and online registration is available. “Costing and Profitability” will help you develop the skills to accurately estimate production cost and profit for your business. The advanced-level course is designed for experienced employees who are in management, production, technical, or sales roles. Class participants will use apps and spreadsheets to calculate crop enterprise budgets; organize and interpret income statement data; use different models to allocate overhead costs; evaluate labor efficiency and return on investment in automation; and evaluate price and profitability for different products. Classes are completely online and include streaming videos, readings, and assignments. They will be available any time of the day and new modules are activated each of the four weeks of the course. It takes about six hours per week to complete lessons and activities. 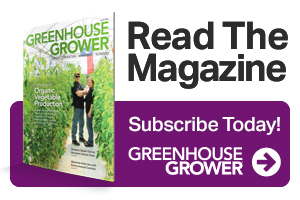 The other course, “Greenhouse 101: Plant Science for Commercial Production,” is designed to help less experienced growers learn the underlying horticultural science of plant growth, while making effective crop decisions by understanding the ‘“why” and not just the “how” in plant development. The Greenhouse Training Online program offered by the University of Florida Extension is the winner of the 2018 Extension Division Education Materials Award from the American Society for Horticultural Science. 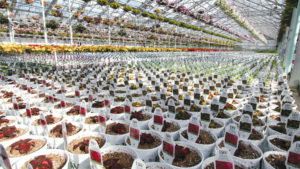 More than 1,300 growers have participated in the courses, with an 80% success rate.